Hey everyone! I'm Jen--The one with the cupcakes. And pink hair. I always feel the need to clarify because there are a lot of Jens out there, it's easy to get us confused. I blog over at Jenuine Cupcakes, and you can find me on Twitter and Instagram. 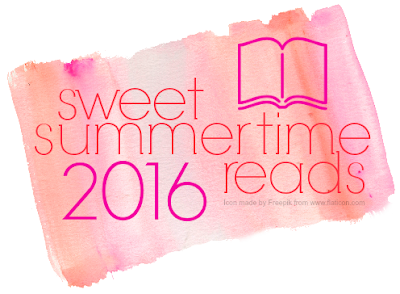 I'm so excited to be participating in Ginger's Sweet Summertime Reads! I stumbled upon Ginger's blog a few years ago after reading Trish Doller's, Something Like Normal. If I remember correctly, I had gone to Trish's website to read more about her, saw that she had done an interview, clicked the link, and the rest is history! 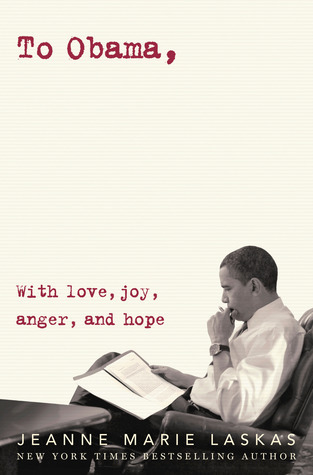 For me, summer is usually the time when I like to reread some of my favorite books. I'm not only a blogger, I'm a wife, a writer, a baker and a homeschool mom to two boys. Life gets a little crazy with a side of insane around here. Picking up a book I have read and loved is like hanging out with an old friend. I know what to expect and I'm guaranteed to love it. 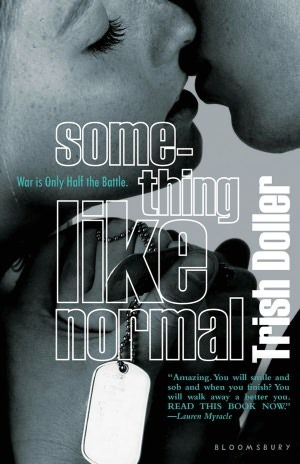 Something Like Normal by Trish Doller - I am a sucker for a wounded soldier story. This one made me laugh, it made me cry, it broke my heart, and it gave me hope. Travis returns homes from a tour of duty in Afghanistan and everyone around him expects life to go back to normal, but Travis doesn't even know what normal feels like anymore. It isn't until he runs into Harper again that life begins to look up. Don't get me wrong, he does some stupid stuff, but Harper allows him to be himself while not letting him make excuses. It's a great redemption story. 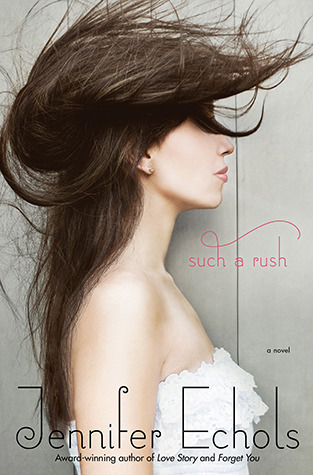 Such A Rush by Jennifer Echols - A Captivating, intoxicating and addicting story about love, loss, friendship and discovering that your self-worth isn't about where you come from but who you are inside. Leah is from the wrong side of the tracks, or in this case, the wrong side of the airport runway. She's always loved watching airplanes and taking to the skies herself is going to be her ticket to freedom. And then tragedy strikes, ushering in an uncertain future and double dose of trouble from the past, in the form of the Hall twins. They may look alike, but Alec and Grayson couldn't be any more different. When Grayson and Leah are forced to work together, sparks fly. The lesson they all learn is, life is short. Say I love you. Now. Today. 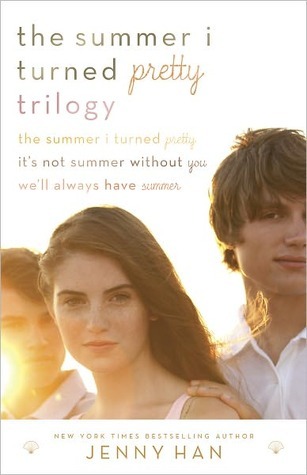 The Summer Series by Jenny Han - I devoured these books the first time I read them back in 2011, and every time I've reread them since. At the center is a love story, one that spans from childhood into early adulthood, woven together by the love and friendship of two families. At times, it does have a love triangle feel to it, but for me, there was never any question about who Belly was supposed to end up with. It just takes the characters a little longer to figure that out. 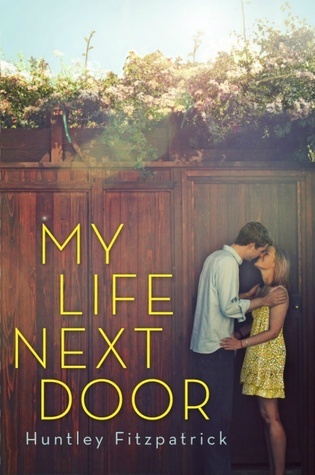 My Life Next Door by Huntley Fitzpatrick - Huntley Fitzpatrick writes about life with all it's quirkiness, even covering tough topics like politics and addiction with such honesty and humor that had me laughing so hard I cried. Samantha has secretly watched the Garretts for years, something her mother would have a cow over if she ever found out. Jase, the smart, funny, and, of course, gorgeous boy from the wrong side of the fence decides to climb Samantha's trellis. One simple question will begin a journey of love and adventure that neither of them will ever forget. One the BEST things about this story is George, the 4 year old walking encyclopedia of the Garrett family. There were times when he stole this story right out from under Jase and Samantha's noses and stole my heart in the process. 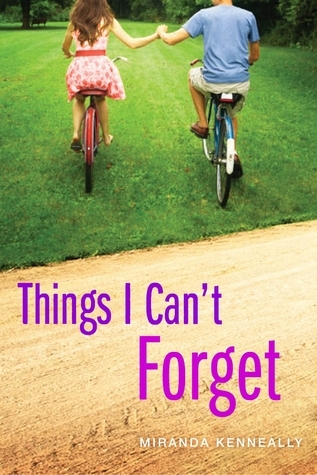 Things I Can't Forget by Miranda Kenneally - Life isn't black and white and a person's faith and beliefs are personal. But there comes a point when you have to decide for yourself what you believe and why. While spending the summer at church camp, Kate comes face to face with people and situations that go against everything she's ever been taught is right. She is challenged in ways she never imagined, and she has to decide for herself what's most important, rules or relationships. Easier said than done when she runs into Matt again. *insert dreamy sigh* Matt Brown is the kind of boy you want your daughter to bring home and your son to be. He's also grounded in his beliefs and he helps Kate see that nobody is perfect. Everyone needs forgiveness. A great story about faith, love and becoming the person you were meant to be. Oh, Jen, I had no idea that is how you "found" me! What a great story!! And I am so honored that Trish Doller's writing is what brought us together. She is such a phenomenal writer, and an incredible person. Thank you for these stellar reading recs. And I agree about the Summer series, there never was a question about who Belly should be with.. always & forever Conrad!